Pests are one of the many blisters that can mess up your home or place of business. They may look harmless, but they can cause a horde of issues like contamination and additional costs in the future. That’s why in Auckland preventive pest control is one of the best investment to prevent future damages. To handle and prevent pests, like everything else, the best form of control is prevention. Preventive pest control maintenance program provides firm support for your entire pest control system, and if executed correctly, will provide almost all the pest control you will need. Check every entry parallel to those outside, just like doors, electrical entries, pipelines, window frames, also, wiring. Do any repairs required. Seek out indicators of insects, and, rodent entry as well as an activity for example waste droppings, and, gnawing marks. Employ traps for rodents, first of all, prior to using rodent bait, if at all possible. Use insecticides cautiously if needed, therefore, follow label instructions. Checking Outdoors. Ensure that the inside of your home is free of clutter, and, food crumbs, most of all, clean. 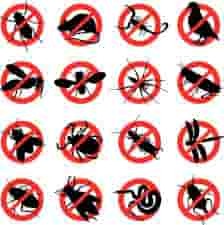 These preventative pest control tips are provided to you from Graeme Stephens an IICRC 2001 Master Restoration Technician. For more preventative pest control help, see the experts, please phone 0800 783-266, or alternatively email Auckland Steam n Dry. Check every single container such as pet food, and, watering bowls, also, bird baths for leftover food, and stagnant water. If you’re feeding more than how much your pet needs, you are actually fascinating predators to dine on your yard. If you leave standing water, you are attracting mosquitoes to breed. Check if the window, and door screens fit securely, that the caulking joints are in good order, also, that weather stripping, as well as sweeps, aren’t allowing light and pests through. Check the efficiency of the mowing program you have. Seek the presence of thatch. In the event that the grass is getting a little too high between mowing, you might require adding a mowing day. Thatch, and, high grass permit insects and rodents to move unnoticed in your yard, and, also offer weeds time to mature, so, replant themselves. Check for cracks, holes, and, electrical, in addition, plumbing line openings, and, seal off any you find with caulk. Look for outside places of your property for bush and weeds. Check for standing water, and, puddles. If you find any, ensure to create, therefore, carry out plans to supply drainage. Find any debris, rubble, and, garbage. These offer cover and food for pests and rodents. Take away anything found. Check around for landscape plants, bushes, tree limbs, and, vines reaching your home. Trim them down if they are. They give a roadway for insects to enter your home. Thoroughly vacuum your house, and, if possible leave pets outside, to best control fleas. 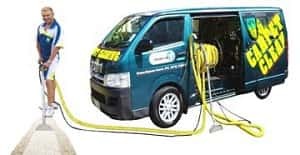 Have your carpet cleaning regularly preferably by a truck mount carpet cleaner that can produce over 70 Celsius steam which kills fleas. Finally, consider doing a pest flea control treatment. For more pest control help, see the experts. Call 0800 783-266, or, send us an email for more preventive pest control tips.